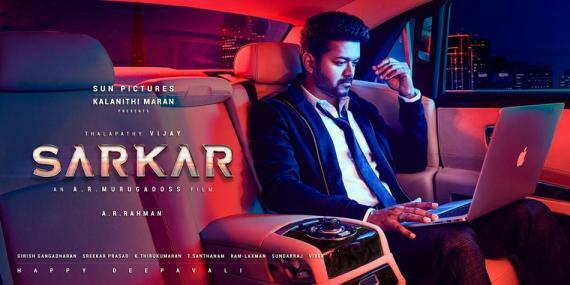 Gearing up for a majestic release this Diwali in November, ‘Thalapathy’ Vijay’s Sarkar being directed by A. R. Murugadoss under the Sun Pictures banner with music by A. R. Rahman is at present in its post-production stages. That said, Anitha Sampath, a popular news anchor on Sun TV had taken to her Instagram page to post her experience of working in Sarkar stating her inclusion in the action political drama for a news sequence came as a huge surprise to her. With the Sarkar audio launch announced to take place on October 2, expectations for the film starring Keerthy Suresh as the female lead have been sky-high since the day the project began rolling. 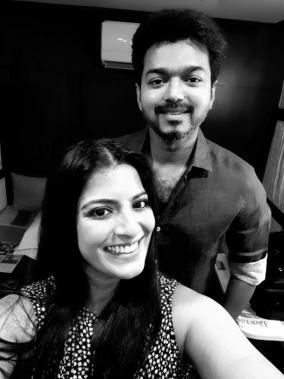 Sarkar also will feature Varalaxmi Sarathkumar in a pivotal role, who will be joined by veterans Radha Ravi and Pala. Karuppiah as the antagonists.